At LT Construction & Remodeling, our Boylston remodeling contractors believe that everyone should have living spaces that are custom designed to their needs. You and your family spend the majority of your time within your Boylston home. If you take the time to redesign your rooms to fit your family’s unique needs, you can substantially improve your enjoyment within the home. With over ten years of experience, our Boylston remodeling contractor have the skills and craftsmanship to help you with all of your remodeling needs. Each of our contractors is professionally trained and licensed. We maintain a full line of trade insurance. As such, Boylston residents can feel confident that they hired the best remodeling team for their home. Call us today if you want to enhance your interior living spaces. Our contractors specialize in kitchen, bathroom, and basement remodeling. We have the ability to handle extensive construction renovation projects including room additions and new garages. Our courteous and polite staff would be happy to discuss your prospective project with you. We can schedule your appointment today. 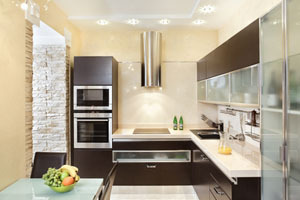 One of the best ways to improve your Boylston home is by conducting a kitchen remodeling project. The kitchen is instrumental to your family’s enjoyment of its home. You and your family gather in the kitchen after long days at work and school. Holiday meals are prepared and shared in this area. At LT Construction & Remodeling, our Boylston kitchen remodelers can help you enhance the experiences that you and your family share in this room. We have the design and construction skill to make your vision of your kitchen become a reality. The best place to start home renovations is the bathroom. Remodeling your bathroom is the quickest way to substantially improve you and your family’s enjoyment of your Boylston home. At LT Construction & Remodeling, our bathroom remodeling contractors in Boylston can beautify your bathroom while adding the its functionality. We can install bathroom fixtures, flooring, countertops, and vanities. After our services, you and your family will be completely satisfied with your new bathroom. If your family living situation has changed, you should consider adding to your current property’s living spaces. Two of the easiest ways of increasing the living space of you Boylston property are to remodel your basement or to construct a room addition. In either of these projects, you can custom design these areas for any purpose that you or your family could want. Our basement finishing and room addition construction team have the skills necessary to help you accomplish any goal. 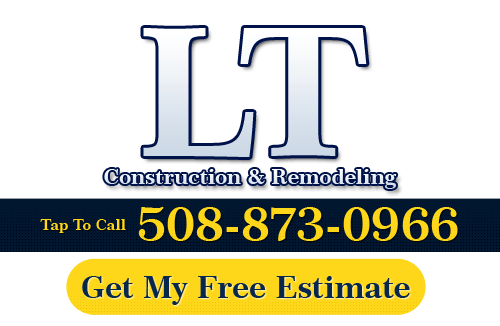 If you need to hire a professional Boylston remodeling contractor, call LT Construction & Remodeling at 508-873-0966, or complete our online request form. "LT Building Contracting remodeled our basement and worked around our budget. Our basement was transformed into a home theater and we couldn’t have asked for a better job done. This company provides outstanding workmanship and they were extremely patient with our requests. We were very satisfied with the outcome. Thanks LT!"